Top Ten Books I Just HAD to Buy…But Are Still Sitting on My Bookshelf [Top Ten Tuesday] – my books. my life. 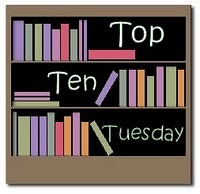 I am excited to participate in Top Ten Tuesday for the very first time. I always love reading these posts and this week’s topic – Top Ten Books I Just HAD to Buy…But Are Still Sitting on My Bookshelf – is too good to pass up. 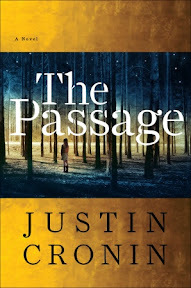 The excitement I felt at coming across Justin Cronin and The Passage at BEA when it was NOT on the schedule was overpowered by my summer reading slump and temporary fear of chunksters. When the paperback came out a year ago, I think I specifically went to the bookstore to buy it. Because I love Lisa See. But I never seem to get to her books in a timely manner. Sigh. I have had this book for at least 4 years. And I’ve wanted to read it longer. Someone make me. Soon. I’ve owned this since I finished Everything is Illuminated. 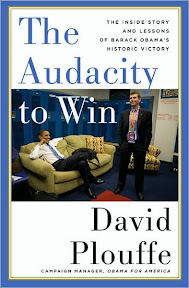 Recently, a few bloggers have finally read it and enjoyed it. I must join them. I cannot express my love enough for The Interpreter of Maladies and The Namesake. Why haven’t I picked this up yet? I was SO EXCITED for this book for about a month. Then I kind of forgot about it. Funny how that happens. I think the mixed reviews made me hesitate. But I still very much want to read it. This was one of the many things I picked up during the Jane Austen obsession of 2007. And also one of the many things I never read. So many YA series. So few hours in the day. I want to learn. But I also prefer fiction. Herein lies the problem. This post is just the tip of the iceberg. I have SO MANY books I need to read. What are some of your top I-needed-it-but-never-read-it books? I got about half way through Shanghai Girls before life got in the way. I think if I searched, I probably have about ten books that has happened to. I’m all excited, get wrapped up in the book, and there’s a strep outbreak or some other “Mommy” tragedy. Oh, that’s two of Jane Austen’s letters I’ve seen so far. This hop is very fun because you can see if there are any trends in terms of what books people buy but never read. Great list. I’ve eyed Shanghai Girls at the bookstore several times, but never committed. I only had two on my list. I actually own and have read Jane Austen: A Life by Carol Sheilds. It was pretty good, I actually enjoyed it. Plus it’s short, so it’s not really drawn out and boring. You should start with the Lisa See book! I loved it!!! Michelle!! Oh my goodness…go read EL&IC…it’s one of my FAVORITE books ever!!! And I finally got to meet JSF at the National Book Fest and I basically had to keep wiping my drool from my face and stop stuttering while he signed my book. I have quite a few of these on my shelf at home unread! Notably Snow Flower and the Secret Fan and The Handmaid’s Tale! You really do have to read THE HANDMAID’S TALE and UNACCUSTOMED EARTH, absolutely. Honestly, I don’t think you’ll miss much if you never read THE PASSAGE. As for SHANGHAI GIRLS, I liked it, but not nearly as much as SNOW FLOWER. 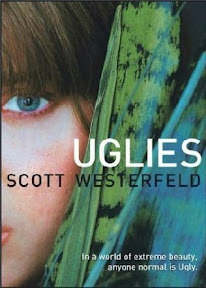 I liked UGLIES and HER FEARFUL SYMMETRY a lot, but you don’t have to drop everything to read either one. The rest I haven’t read, but I intend to get to EXTREMELY LOUD sometime soon. Wonderful post, Michelle! This is really a wonderful theme! 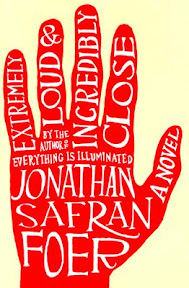 From your list I have read ‘Extremely Loud and Incredibly Close’. It is nice. 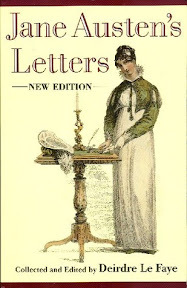 The collection of Jane Austen’s letters looks really interesting! I would love to read it 🙂 Don’t tell me you haven’t read ‘Flow’ 🙂 Didn’t I read a review of it in your blog? I have a few (=many) books that I got and want to read. Some of them are Kazuo Ishiguro’s ‘The Unconsoled’ (lying on my bookshelf for nearly 8 years! ), ‘The Meaning of Sport’ by Simon Barnes (looks wonderful), ‘War and Peace’ (I keep postponing reading it year after year). Inspite of dozens of of unread books in my bookshelf, I shamelessly went and got a book today. In case you are interested, it is called ‘When I lived in Modern Times’ by Linda Grant. It is about a young lady who goes and lives in Israel at the time the country was founded and the interesting and funny experiences she has. 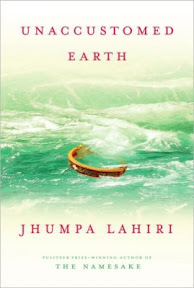 It is quite interesting and I hope I read it soon. Hope you get to read all these books which could become your favourites. Wow, I have so much to say about all these books, LOL! First, thanks for linking to my EL&IC post! You HAVE to read that!! Especially if you liked his other one (which I haven’t read yet). And it’s funny because I remember seeing you in line for The Passage and thinking Ohhh maybe I should have waited in line.. but then I ended up buying and starting the book later and never finished it. 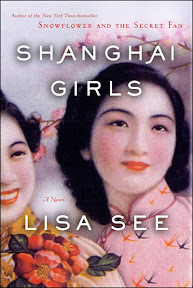 Shanghai Girls is a must read for sure… one of my favorites if not THE favorite of mine for 2009.. The Art of Racing in the Rain is wonderful too. I have almost all of these books. 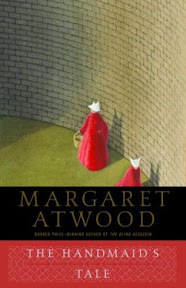 Handmaid’s Tale is an old favorite of mine, and it is a pretty quick read. The Passage could have been on my list. I loved 3. Wanna read 1! I find I’ve gotten better at actually reading my new books over the years. Most of my unread books have been sitting there for over a year or so and I’ve kind of lost interest in them now. But now when I buy something I tend to read it fairly quickly unless it’s a classic. I think you would like The Passage. 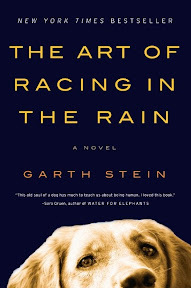 The Art of Racing in the Rain looks intruiging! 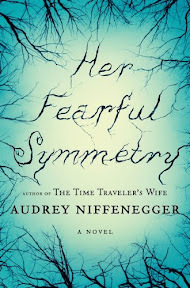 Pingback: The Sunday Salon: February Books Recap [3.5.2011] - my books. my life. I am pushing for Handmaid’s Tale. I finally read it last year, an it blew me away. Don’t know why I waited so long. I also have Art of Racing in the Rain, and keep putting it off because I think it’s sad. Make yourself one of these books next. Definitely read Handmaid’s Tale. It’s fantastic. I own most of these:-) I did love The Handmaid’s Tale!